We are off to NYC this week for a non-stop 6 days of design events that comprise NYC Design Week, officially called NYCXDESIGN. NYCxDESIGN kicked off this past Friday with an opening party in Brooklyn, and runs through May 18, bringing together all the disciplines of design, commerce, culture, education, and entertainment with a full, varied program, including exhibitions, installations, trade shows, talks, launches and open studios.. For the complete list of design fairs and other happening to help you plan your week, click here. This year, for the second year in a row, we’re aligned with WantedDesign as an industry partner. WantedDesign opens this Friday at the Terminal Store (269 11th Avenue between 27th and 28th street St.), and is celebrating its Fifth Anniversary. 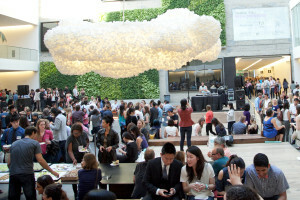 WantedDesign continues to be an anchor event of NYCxDESIGN and should be on everyone’s list of must-attend events. One of our favorite sections of the fair is Launch Pad, an initiative for emerging designers and their market ready prototypes who are hoping to catch the eye of manufacturers interested in producing their design. 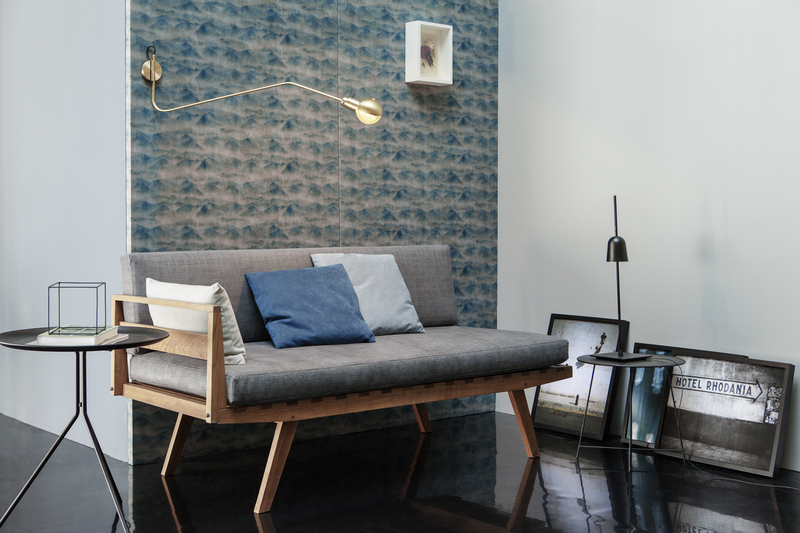 The winning designer will be afforded a spot at WantedDesign 2016 and WestEdge Design Fair October 22-15, 2015. In addition to our role with Launch Pad, we’ll be on hand throughout the fair and are giving away a “Weekend of Design” trip to WestEdge Design Fair in Santa Monica this October 22-25. Stop by our space in Gallery 6 to enter our instagram contest. Just snap a selfie in our booth’s Vioski chair and include the GO WEST backdrop created by the innovative Italian brand Mosaico Digitale. We hope you’ll stop by and see us at WantedDesign. The event opens this Friday May 15 for press and VIPs, and runs through May 18. And, this year, WantedDesign has also expanded with a new, second location: WantedDesign Brooklyn, at Industry City in Sunset Park. This strategic expansion reflects the growing importance of Brooklyn as a hub for multidisciplinary creative thinkers and makers. 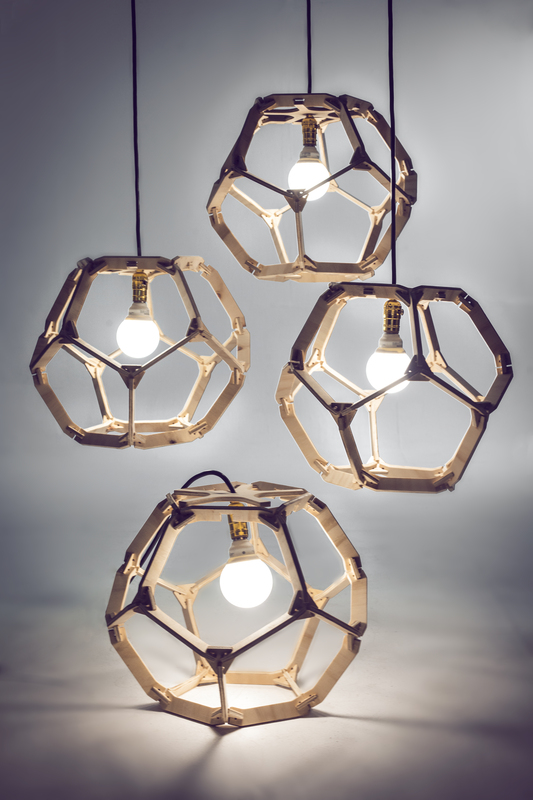 Share the post "Come See us at WantedDesign in NYC May 15-18"
We’re edging north! 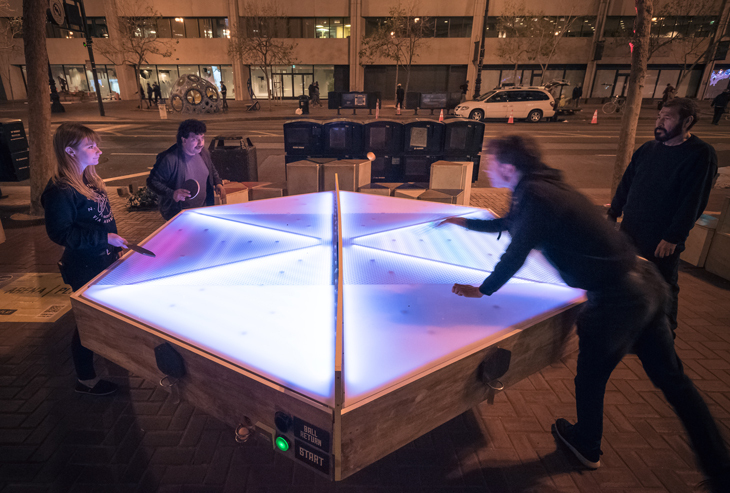 In just 4 short weeks, we’ll be up in San Francisco with San Francisco Design Week (SFDW) to co-present the inaugural SF Design Week Hub, an anchor event set to launch the week’s festivities and welcome thousands of attendees to celebrate design in the Bay area. Pier 27 along San Francisco’s Embarcadero waterfront will be transformed into a destination for all things design for two full days in a very ‘San Francisco environment’ (this is where the America’s Cup was held two years ago, and being right on the water with views of the Bay bridge is pretty spectacular!). 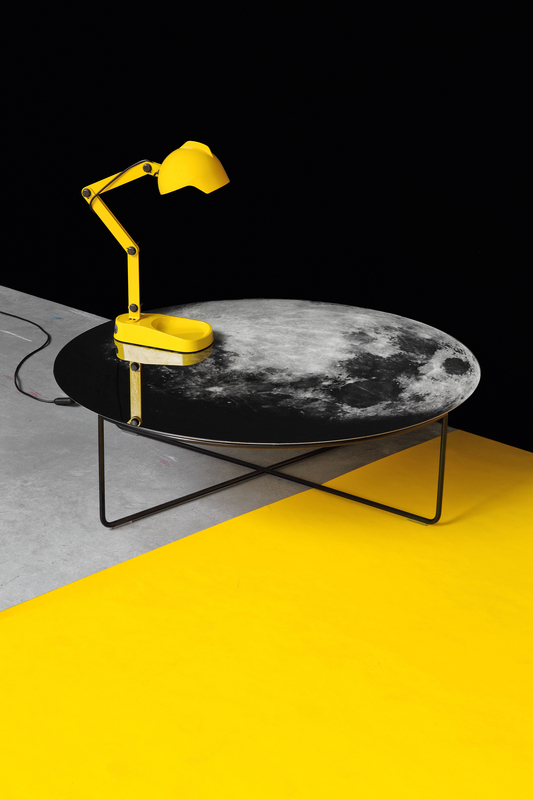 Guests will be able to see and purchase the latest products from 40+ leading brands – and engage with the designers who are creating some of the most inspiring products in furniture, lighting and more. To check out the brands who’ll be joining us, click here. In addition to the product exhibition, the venue will serve as the destination and gathering spot for SFDW, offering educational programming and seminars, interactive design installations, and special events. 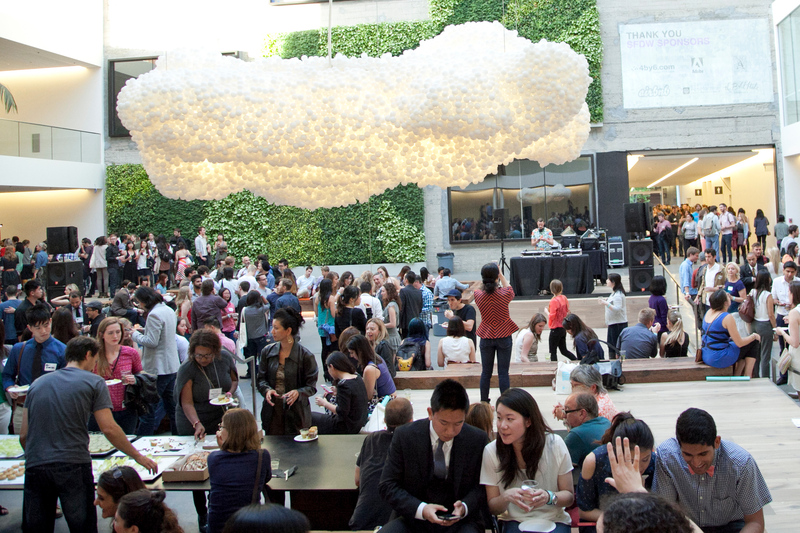 And, did we mention that the venue will also serve as the spot for the official San Francisco Design Week opening night party? Last year they had 1,500 guests on opening night and this year are expecting 3,000! Luckily #OfftheGrid food trucks will be keeping the crowd well fed and bars will be aplenty. Registration is now open so get your tickets today. See you in the City by the Bay! 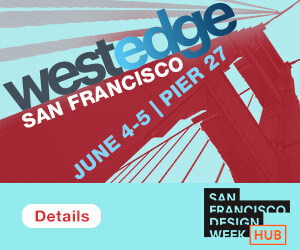 Share the post "WestEdge + SF Design Week Hub June 4-5"